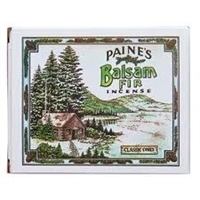 Paine's Balsam Fir Incense logs come in a boxed count of 24 logs. These are the replacement logs for the Log Cabin shown below. 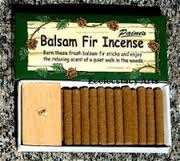 Balsam Fir Incense Cones come 32 in a box with included burner stand. Balsam Fir logs come in a 72-count box. Incense log measure's 3/8" around. 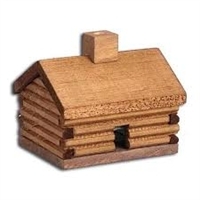 Genuine Pine Log Cabin with included Balsam Fir Incense logs. 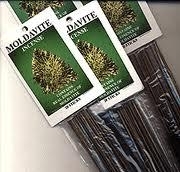 While lit, the balsam fir incense smoke comes out of chimney. 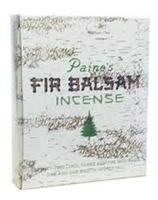 Balsam Fir smells like an old log cabin in winter woods.